An elderly couple in the beginning stages of dementia turned up safe in Kern County Monday several hours after they were reported missing from their Santee home, sheriff's officials said. 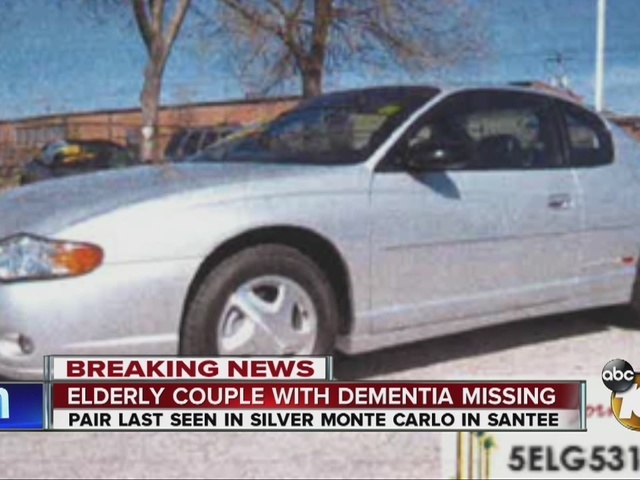 Marlin Stewart, 88, and his wife Norma, 81, were reported missing by Norma's sister after leaving home early Monday morning in a 2003 silver Chevrolet Monte Carlo, according to a statement from the county sheriff's department. They later became the subject of a "Silver Alert," which prompted the public to keep an eye out for them. Around 11:15 p.m. Monday, someone spotted the Stewarts in Kern County and alerted California Highway Patrol officers, sheriff's Deputy Aaron Meleen said. Both were found in good health, he said. Meleen said the couple would be reunited with family members.